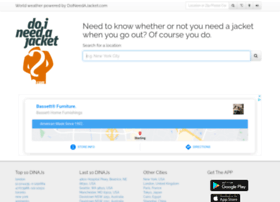 do i need a jacket is the ultimate resource in knowing whether or not you need a jacket when you go out. no, not a dinner jacket. a jacket jacket. Hosting company: Amazon Technologies Inc.